Your local team at plumbers Cabinteely specialize in 24 hour emergency plumbing services throughout Dublin. If you have a problem, one of our team can be with you within the hour (often a lot quicker). We only hire fully qualified professional staff and all of our work is done in a professional, competent manner. We are fully insured and to add to the peace of mind for our clients all of our work comes with our standard 1 year “plumber Cabinteely” parts and labor warranty. We provide the following services at plumbers Cabinteely. · All general plumbing Services. · Unblocking drains, sinks and toilets. · Installing new baths and bathrooms. · Clearing blocked waste pipes. Plus a whole lot more. Even if it’s not listed, your local Cabinteely plumber will be able to help, just call. Our team can find the solutions for all your plumbing problems. This includes those emergency jobs where you need a reliable, local plumber in Cabinteely. Please feel free to call even if your requirement is not listed. 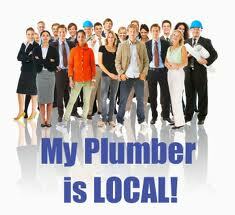 We strive to offer a friendly plumbing service at a very competitive price, without hidden fees or charges. We are proud of this and we believe that our prices are so good we happily display them on our website unlike most other plumbing companies in Dublin. At Plumbers Cabinteely we pride ourselves on operating our business as transparently as possible. We offer our clients the best possible price and services available. This approach has been the cornerstone upon which our reputation has been built over the years. We do not charge for call outs. We give free advice and no obligation quotes. If you need a local assistance fast, pick up the phone and give your local Cabinteely plumbers a call today on 01-6874850.